The best wood steps on the market! A Michigan-made product. 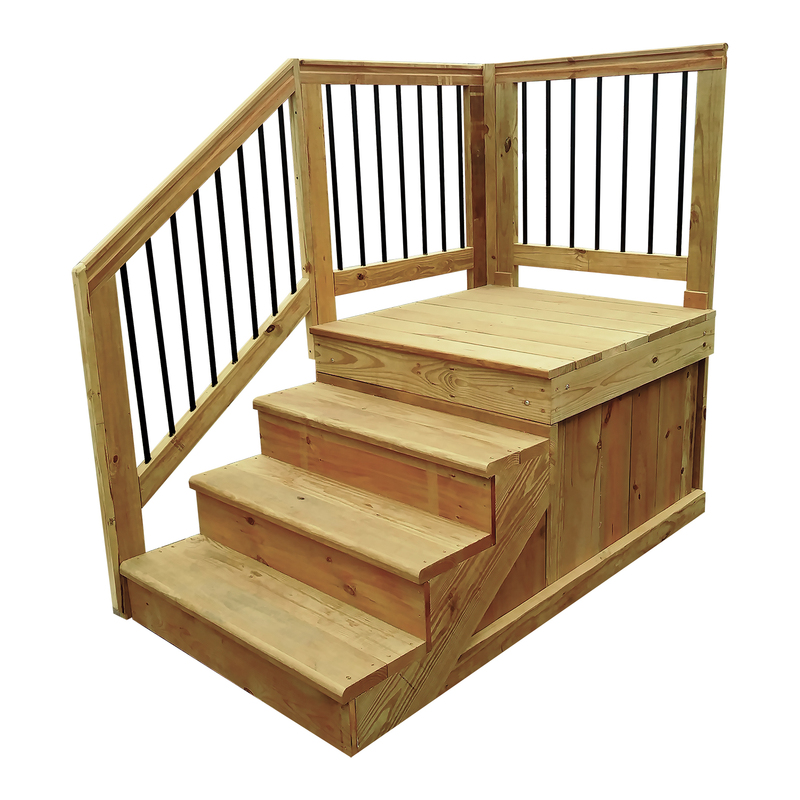 These steps have all the features of QUALITY, constructed by workers who know the manufactured housing industry. Manufactured with a stain infused in the core of the boards.The DuraColor stain is added directly to the pressure treatment process, so they won't need re-staining for years to come, if ever! They look better and they're resistant against fungal decay and termites. Wood and aluminum railings for extra strength. Featuring new aluminum spindles for long-lasting durability. All railing and corner posts extend to the ground level to provide additional strength and support. We'll customize your step size. If you don't see the size you need, call your Salesperson at 1-800-482-1125 for options on alternative sizes we may offer. 21" x 40" x 40"
24" x 40" x 40"
28" x 40" x 40"
32" x 40" x 40"
35" x 40" x 40"
40" x 40" x 40"
42" x 40" x 40"
48" x 40" x 40"